If you read my recent Charlotte Tilbury post, you will have seen that I was kindly gifted The Golden Goddess Kit (£165 at CharlotteTilbury.com). I asked on Instagram, @suzyheartsbeauty if you're not already following ;), to see if people would be interested in seeing this look on my pale skin and I got some good responses for this so here we are! I was definitely interested in seeing how this would look because when you think golden goddess, you kind of associate that with a bronzed, tanned skin really! I prepared my base with Charlotte Tilbury's Wonder Glow (£38.50 at CharlotteTilbury.com), Magic Foundation in Shade 1 (£29.50 at CharlotteTilbury.com), Mini Miracle Wand in Shade 1 (£29 at CharlotteTilbury.com) Airbrush Flawless Finish (£33 at CharlotteTilbury.com). I've been loving all of these products for ages so had to start off my Charlotte Tilbury look with those! 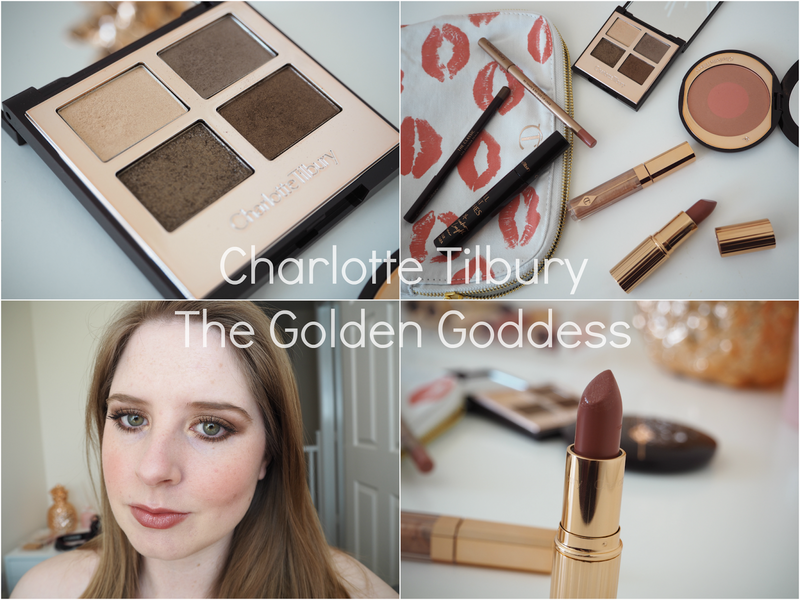 I then set to work applying all of The Golden Goddess products whilst following Charlotte's video guide. I started off by creating the daytime look first. I then dialled it up for a more intense, night out look, using Charlotte's instructions and I'm really happy with how this looks on me! As always, I loved all of the products and have tried them all before really anyway in different shades as I have a lot of her products already. Amazing formulas, amazing shades! What do you think of this Golden Goddess look? Which is your favourite look by Charlotte Tilbury?